The Carmageddon Car Show was presented by Southside Johnny’s and the Lonely Knights car club. 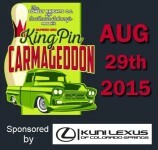 It was also sponsored by Kuni Lexus of Colorado, who also gave away a $300.00 auto detail. It was a smokin hot day. There were hot cars, hot food and hot pin-up girls and Masters Memories photo booth was there to capture the fun. See the online Gallery here: Carmageddon Photo Booth Gallery. See the animated GIFs in the gallery too. You can post them on social media or text them to your friends. Saturday night in Longmont, CO was an amazing celebration. The D-Barn Event Center was amazing – an historic fully renovated Big Red Barn right in the middle of Longmont. Family and Friends were there to wish Nicole and Casey all the best as they exchanged vows in a beautiful outdoor ceremony. Scroll to the end for 10 second videos like this one. Mile High Academy had a Grand Opening on Sunday August 16th, 2015 and Masters Memories photo booth was there. There were bouncing houses, face painters, Polynesian Food and Mobile Frozen Yogurt Trucks and fun was had by all. Party Booth was invited to Nai’s Quinceañera on Saturday August 8th, 2015. Nai was stunning and the entire night could not have been more perfect. This was the largest party that Party Booth has ever been invited to and everyone loved it. Saturday night in Blackhawk was a sure bet, not a gamble, when Bri and Jared committed before friends and family to spend the rest of their lives together. The night was perfect from the beautiful weather to the great food, fun and dancing. Masters Memories was there to capture some amazing memories. 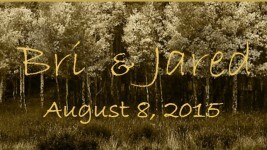 Saturday night in the mountain town of Silverthorne Colorado Mark and Justine exchanged vows and began their own “happily ever after”. From the the beautiful bride, all the family and friends to the gorgeous private home, good food and dancing, the night could not have been more perfect. Masters Memories was there to capture some awesome memories. Scottie and Jennifer’s friends and family filled the Historic Tivoli Student Union Saturday night. 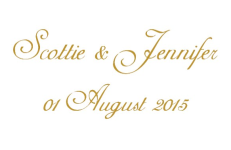 It was a beautiful wedding ceremony and a grand celebration at an amazing Denver Landmark. Masters Memories was there and captured some priceless memories.